Thursday, January 6, 1859.Springfield, IL. 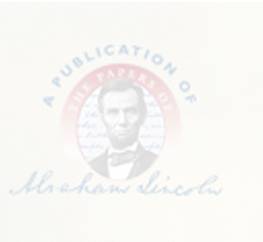 Lincoln writes legal opinion on methods of dividing land sections into quarters. Opinion concerning Land Surveys, 6 January 1859, CW, 3:348-49. He also has case in U.S. Circuit Court—VanBrunt & Watrons v. Madux—which, by agreement, is set for trial January 11, 1859. Record. He writes and files defendants' answer in People v. Moore et al),., (SC suit to collect $200,000 from McLean County collector. Photocopy. Robert buys and charges four pounds of candles ($1) at Smith's store. Pratt, Personal Finances, 154.